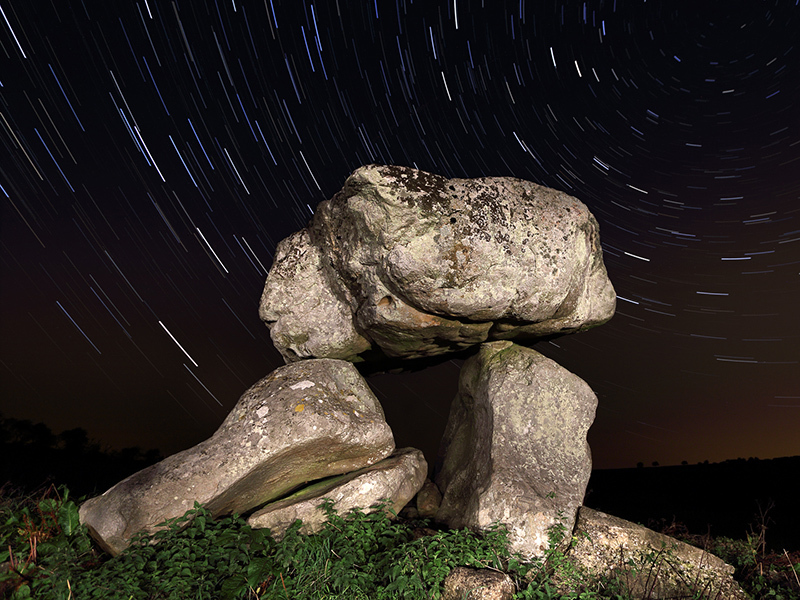 Wiltshire's ancient monuments make good foregrounds to photographs of the night sky. Devil's Den has the advantage of being in a valley, well screened from artificial lights. Once the sky was fully dark, I composed with a view of the sky between the stones and the north pole star in the top right corner of the image. Over a period of 24 minutes, the earth's rotation carried the stars in arcs around the pole star. I captured the star trails by making 48 sequential images of 30 seconds each, then combining them all as layers in Photoshop using the Lighten mode.